It’s almost two weeks into phase 3 of my Omni-Drops program. I’m feeling great and have maintained my weight. Yippee! Two more weeks and my husband and I will be loading for another round of phase 2. Meanwhile, I’m enjoying the larger variety of vegetables and the dairy – especially the cheese. I’ve never been a big bread lover so not having the opportunity to eat that hasn’t really bothered me. My husband is going crazy and when I mentioned to him that there was a low-carb substitute to bread, he was so excited. 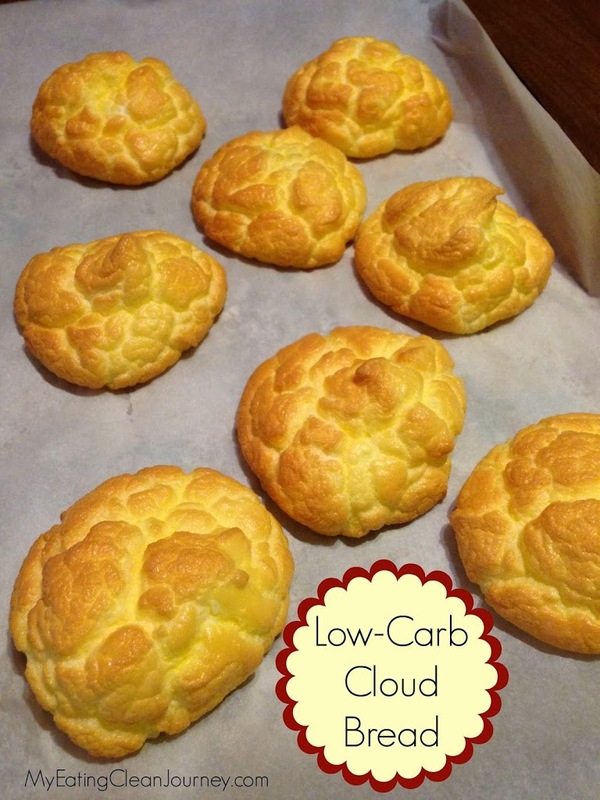 I made what we call Cloud Bread. It’s made with eggs, cream cheese and cream of tarter. It’s puffy and soft, like a cloud. I was really happy with the way they came out. On the national Omnitrition Facebook group there have been comments made about the failure of being able to produce these. I think the trick is in making sure you beat your egg white enough until they form stiff peaks. If you’re not used to baking, then you might not know exactly what that means. http://bakingbites.com/2005/06/cooking-school-how-to-beat-egg-whites/ which talks about egg whites and making stiff peaks. If you make these, I’d love to know how yours turns out. 2. Separate the eggs very carefully. There must be no yolk in the white. Cream Cheese and the one packet of Stevia until smooth. beat the whites on high speed until they are fluffy and form nice peaks. but try and not break down the fluffiness of the egg whites too much. roughly 3/4 inch thick and 4 to 5 inches across). become nice and golden brown (again, the color of a McDonalds bun). So now that I have these beautifully golden Cloud Breads, what should I eat with them? 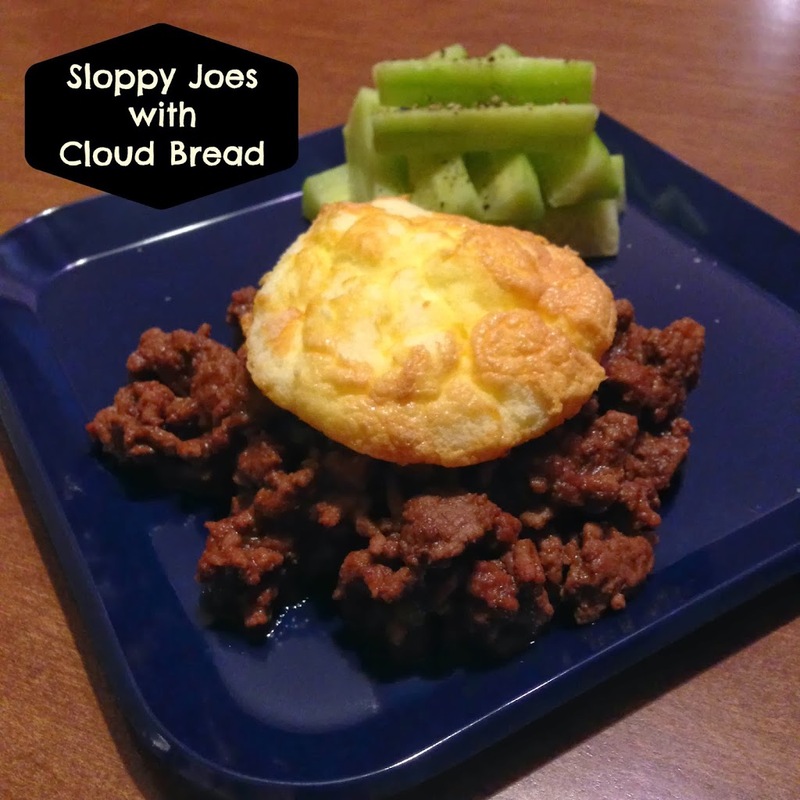 We decided on Sloppy Joes.